Far from enjoying a bit of open road pleasure the other evening, I found myself home alone with my plans of entertainment dashed! So instead of driving, I thought I would invest a little effort in tidying up the boot! One thing that had been annoying me, was having relocated the washer to the boot, the smelly screen clean who's sent would entwine and creep through the cab, was not a sent conducive to joyous motoring generally getting up my nose. Naturally this is mostly my fault having fitted a aluminum cap (badly) to the water bottle, which in turn was filled with some glow in the dark green fluid from the local motor factors. The main problem would I think, have been the rear screen washer pipe, which now is connected to nothing and venting into the car. So out it all came, pipes flushed and water cleaned. I think I may invest in a correct fitting plastic cap again (I probably still have the old one somewhere). Still in the short term a bit of food wrap cling film, a rubber band and my metal cap shoved on top will do! So having sorted the washer I thought it a good idea to sort the actual boot carpet as well. This had a huge stain on it that no matter how many attempts (thinking about it this would be two) I had, it just would not shift. 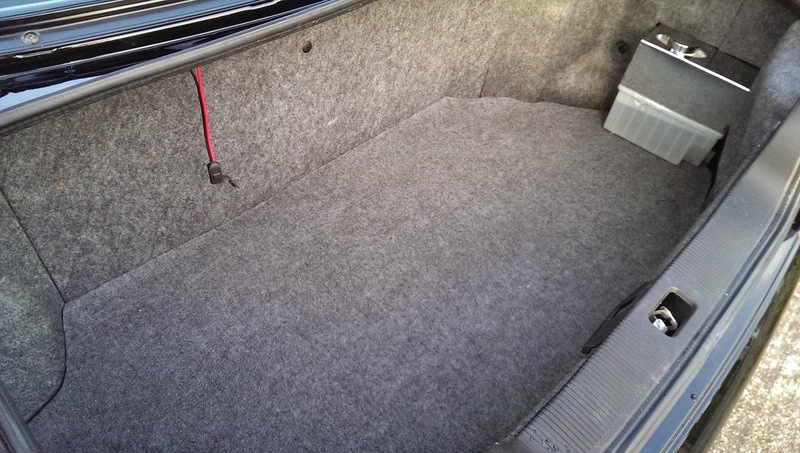 It is strange but having seen a fair few boot spaces now, how often this carpet is in a poor condition! I suppose Skyline owners transport a lot of fluids! I did look for internal carpets in the usual places (Ebay/breakers etc) although everything available was probably worse that what I already had. Never ceases to amaze me what a breaker considers a good clean part. 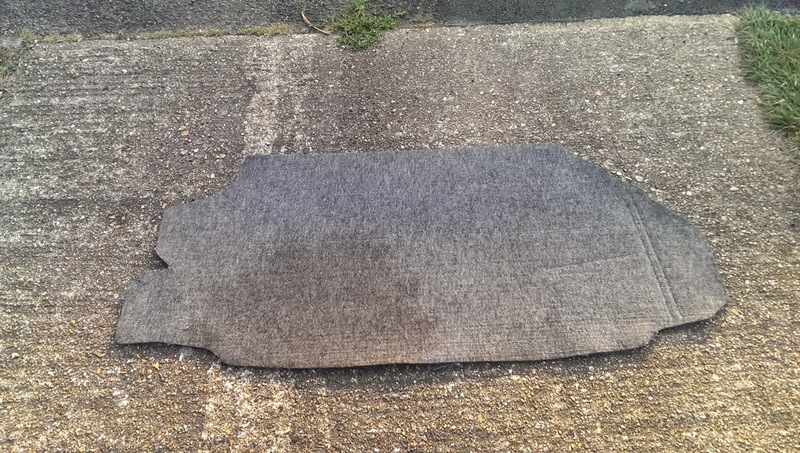 So I simply brought a roll of car carpet from Ebay for £10 (actually £9.95). 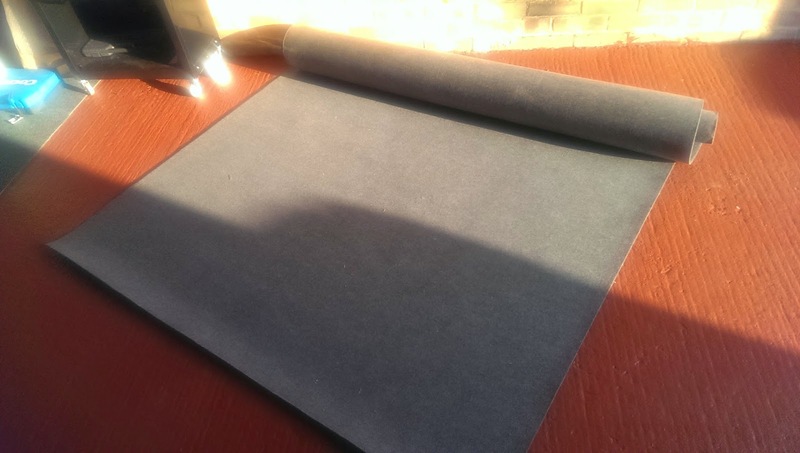 Cutting to size was pretty easy and I simply used masking tape on top of the new carpet to draw the template from the old. Because I thought the fit could be a little better than the original Nissan, I enlarged the cut out area by around 12 mm all round. Hardest part was simply cutting out with a good pair of scissors. 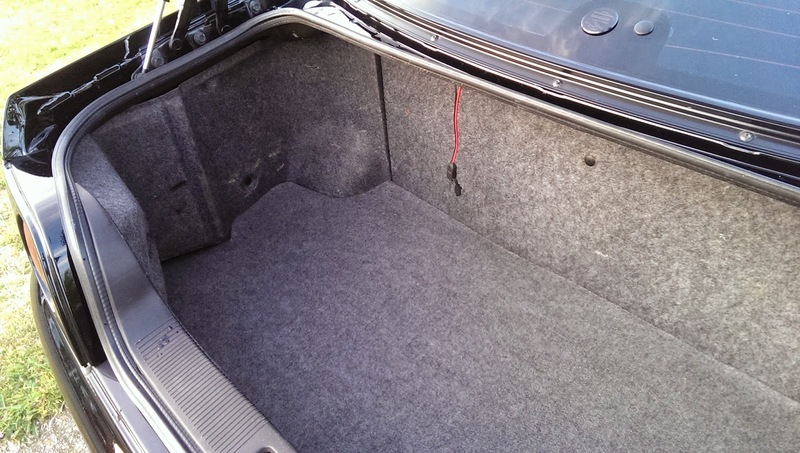 The results speak for themselves, this was a cheap and effective tidy up to the boot area. Additionally I still have enough carpet left over to do another two cars! Painting (as an art form) motor cars..